Coming from a musical family, Ben McGhee says South Texas College has enabled him to expand his skills in guitar by introducing him to the classical side of the instrument. Ben says he has been playing guitar since the age of five and has been coming to STC off and on since 2013. He shares his talent as a musician by participating in outreach activities both on and off campus and exemplifies a strong work ethic in his music training by going above and beyond his regularly scheduled music classes. 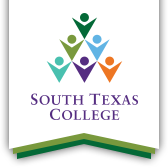 The Associate of Arts in Music Degree at STC focuses on establishing a solid music foundation in music theory, music literature, applied instrumental and voice lessons, piano proficiency, and participation in solo performances as well as various music ensembles. These foundational studies are in preparation and designed for transferability to higher education institutions by the serious music student wishing to complete a Bachelor of Arts or Bachelor of Music Degree. Inspired by guitar masters like Eric Clapton or Stevie Ray Vaughn, Ben said he began right away with the college’s advanced ensemble and performed his first solo piece “Suite del Recuerdo” by composer Jose Luis Merlin in 2018. Slated to graduate in 2019, Ben says he plans to transfer to the University of Texas Rio Grande Valley in order to obtain his bachelor degree and eventually begin teaching music. “To students, I would like to tell them to pursue what you love the most,” he said. “Put your heart into it, try your best but never go into something halfheartedly.